We offer letter folding machines for a variety of applications. Our folder inserters are designed to suit specific needs. We offer low, medium, and high volume solutions for folding applications that provide the highest level of productivity and dependability. AIM helps you manage the mailroom and every mail piece with accuracy, flexibility and efficiency. It is compatible with DS-200 & DS-1000/1200. Small businesses are wasting hundreds and thousands every year by using stamps to send their mail. Forty per cent of small businesses surveyed recently by Neopost still stick stamps on envelopes rather than using a modern alternative like a franking machine. Franking machines allow you to access postage discounts up to 33% versus stamps on second class mail. They can also save time and improve your brand image. It's quick and easy to calculate the right postage and you can use your franking machine to overprint envelopes with marketing messages, logos and a return address for undelivered mail. The latest statistics on the public postal sector reveal that customers postal spends rise the last 3 years. We optimize revenue protection with automation data and fast processing of mail for postal operations. An entry level mail sorting and sequencing system for medium-sized mailing businesses which reduces operational cost and retains control of the sorting processes. 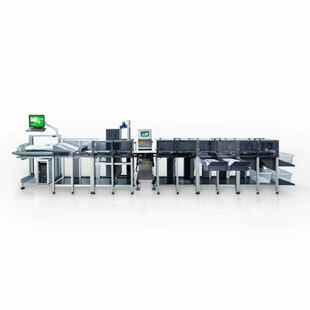 The MSA-9600, accounting and sorting solution, is the appropriate solution for processing mixed mail and small parcels. 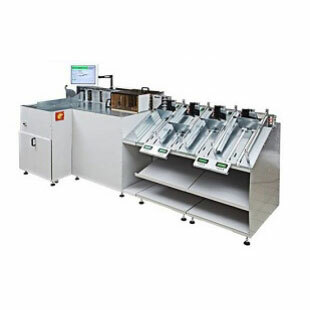 EC-500 is an innovative machine that controls optimization by scanner technology and counts the number of (mixed weight) mail pieces in a postal tray without extraction of the mail from the tray. Today, large organizations and SMEs operate under competitive and economic pressure to improve customer experience while cutting costs and increasing efficiency. 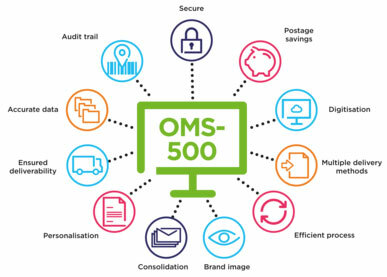 Whether you have a centralized production center or many distribution facilities, the OMS-500 gives you complete control over your customer communications processes. It’s all that you need to create compelling, personalized documents and deliver them to the right person, at the right time, through their preferred channel.